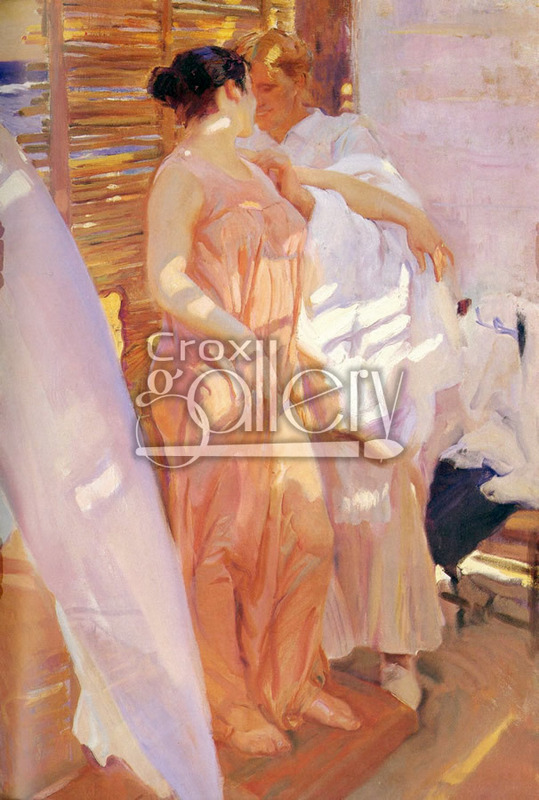 "Pink Robe" by Sorolla, Hand-Painted on Canvas, Art Reproduction. The Pink Robe by Joaquin Sorolla y Bastida was painted in 1916. The beauty of the folkloric scene is not darkened by the difficulty of the work. 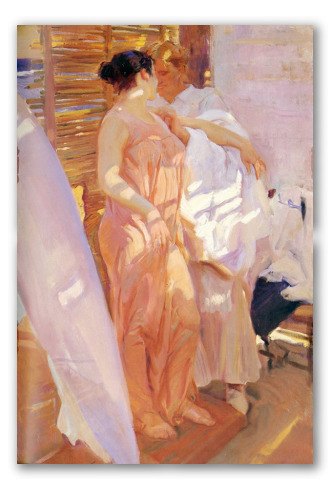 The Master Sorolla created the figures, wind and source of light with true genius. The artist achieved one of the warmest and most delightful paintings of his career.